Garden season is RIGHT around the corner, and I know I’m itching to get started on this year’s garden. Unfortunately, it’s still too cold and wet to do much outside, and still a little early to start seedlings indoors. That doesn’t mean we can’t start planning the spring garden though! Here are some simple steps to help you prepare. 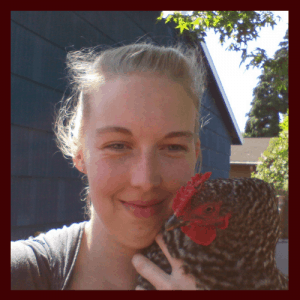 I wanted to share with you one my favorite tools that helps me remember when it’s time to start planting and starting seeds. Mother Earth News will email you planting reminders throughout the year based on your zipcode. There’s also a planting and harvesting dates guide you can print out. Seriously, all you have to do is put in your zipcode and your email, and then not think about it again until the reminder pops up in your email inbox. I would have completely spaced on planting garlic this year if it wasn’t for this nifty tool. Click here to check it out. Now is also a good time to grab some graph paper (or ANY paper, really!) and do a quick sketch of your garden beds. If you made one last year, pull it out and keep it handy when you decide where to plant this years’ crops. It doesn’t have to be fancy, but if you are into Excel, go for it. I have one written in pencil that I refer to when I make a new one, but this year I’m going to scan it so I can just print a blank copy each spring. Signing up for the planting reminders, and quickly sketching out your garden beds shouldn’t take long. You could probably do one task during a break at work or a quiet minute during the day. If you find yourself with a few extra minutes this weekend, go ahead and thumb through any leftover or saved seeds you have from last year and make a list of what you WON’T need to buy. This mini project not absolutely necessary, but will come in handy when it’s time to order seeds and plants. Before you order seeds and plants you need to know what plant hardiness zone you live in. You can find that here. Once you have that, write it down in a safe place. Next, you need to know your first and last frost dates. These dates are critical in finding out which day you need to start seeds and when you should plant out straight into the garden. Find your first and last frost dates here. Write this down with your zone. And finally, read through any notes you have from last year’s garden. This will be a good memory jog for you. We can easily forget little details, such as planting too much of one thing, or not enough of another. Maybe variety you tried last year was a flop and you need to try a different one. Or perhaps your harvest didn’t ripen in time, and you needed an earlier start this year. We all can use a refresher before starting this spring, so take a minute to glance through your notes. If you didn’t have a garden last year, or if you didn’t keep notes on it, now is the best time to start. I suggest reading through my post Planning a Garden is a Simple Way to a Better Harvest, to help you get started on notetaking for this year. The ultimate best place to get seeds is from your own garden. If you can save your own seeds from year to year you will save money, and eventually raise plants perfectly situated to your microclimate. If you can’t raise your own, look around your neighborhood or community groups for a seed swap or seed library. You can donate seeds that you won’t use, and bring others home to try. We have a community tool library that hosts both a spring plant swap where people bring extra plants like raspberry shoots and excess seedlings. They also have a filing cabinet drawer of seeds everyone is free to donate and use. If there isn’t anything like this where you live, maybe you can start it! On SNAP? You can stretch the dollars and buy seeds. Another way to get seeds that people don’t always know about, is if you are part of the Supplemental Nutrition Assistance Program, (also called SNAP or food stamps), you can purchase edible seeds and plants from any grocery store that accepts it. Walmart may not have the best selection, but buying seeds in their gardening section can really stretch dollars when money is tight. One fun way to get seeds is through the Seeds of the Month club. This is a similar idea to things such as the dollar shave club. You pay for a subscription and get seeds mailed to you monthly. My husband bought to for me as a gift. It’s been great fun growing both things I love, and also some new ones I haven’t tried before. It makes a great gift, and my favorite part is you set it up once then don’t have to think about it. If you are looking for specific plants, then my two favorite resources are Seeds for Generations and Territorial Seed Company. Seeds for Generations is a small family business that focuses on heirloom varieties of popular garden vegetables. Territorial Seed Company offers common vegetable seeds as well. They also have plants, root cuttings, some fruit trees and bushes, and other perennials. I just ordered some Egyptian Walking Onions from Territorial yesterday, and am excited to see how they do in the garden. Here are four of my favorite seed starting guides. I find them useful for different reasons. All of them can help you get your garden started on the right foot this year. The Prairie Homestead has a great list with planting instructions for popular garden vegetables, including links on how to use them after harvest and how to save their seeds. Tenth Acre Farm has loads of pictures of their indoor seed starting setup, a list of supplies, plus step by step instructions on getting everything set up. The Gardening Notebook is a printable ebook that you can use for all your gardening record keeping. (It’s not just for seed starting!) It includes printable sheets of tips for common fruits, vegetables and herbs with spaces to write in your specific planting dates based on your area. The trickiest part of starting seeds for me is figuring out when I’m supposed to do it. One solution is to create a seed starting schedule. This can be overwhelming for some us, but Grow a Good Life breaks it down into step by step directions. It just takes a little pre-planning to get your garden off to a great start. 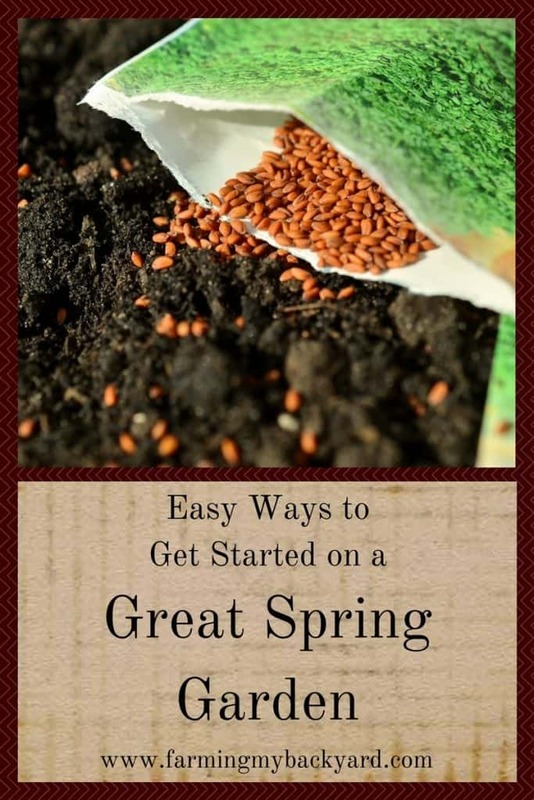 Spring can be a crazy time of year for gardeners and homesteaders, so take a little time while it’s still too cold and wet to start planting and get yourself organized for your best spring garden yet. Thank you for providing the details. Will surely take these things into consideration next time while planting. Keep up the good work!